Beautifully built single story David Weekly home with well-appointed upgrades throughout. 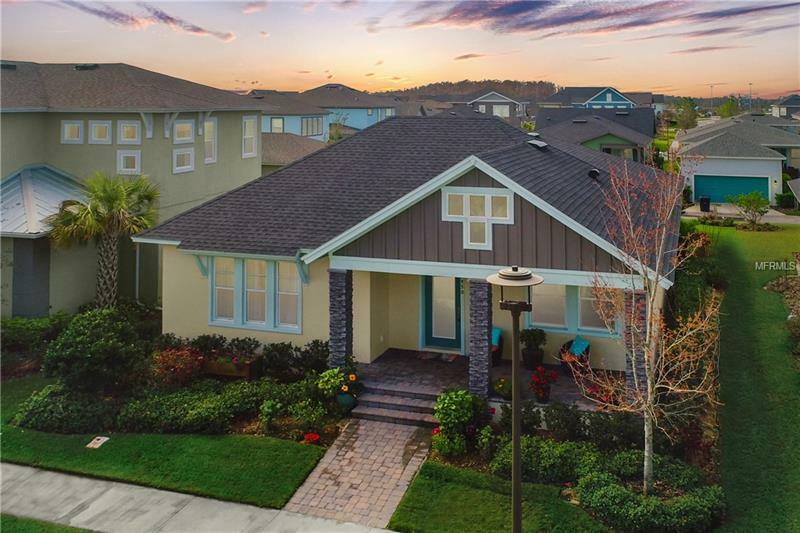 This 3 bedroom, 3 bath Craftsman is a MUST SEE! You will quickly realize this is the home you want to own with its exterior appeal with stone facade, siding and architectural detail windows. The inviting front porch overlooks the beautifully landscaped yard and has a 3 car rear loading garage. The interior features an open floor plan with an office, family and dining room with windows that are energy efficient bringing in loads of sunlight. The Kitchen is modern in design with tile backsplash, granite countertops and stainless steel appliances including a built-in wall oven and microwave as well as a flat top convection cooktop, island with bar seating and walk-in pantry. Ownerâs Retreat features a tiled Super Shower, dual sinks and vanities and a walk-in closet. The colors are neutral and beautiful throughout the home and the floor plan flows seamlessly from one room to the next. The rear porch opens to the yard and a covered walkway gives access to the garage. Great location close to the Laureate Park Village Center, where youâll find the aquatic center, fitness center, Lakehouse Event Venue, and Canvas Restaurant and Market. Includes a 1 year home warranty!